I did something naughty (but nice) a couple of weeks ago when no-one was looking! I started a new project.........like I need one. Anyways, it is going to be another leaf quilt for our queen size bed. 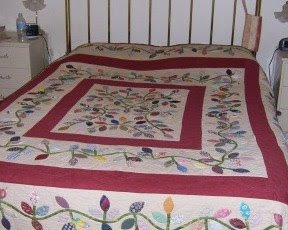 Now, last time I made "My Leaf Quilt", I vowed and declared I would not do another queen size quilt. How the memories fade, a bit like having a baby, we go back a second time. 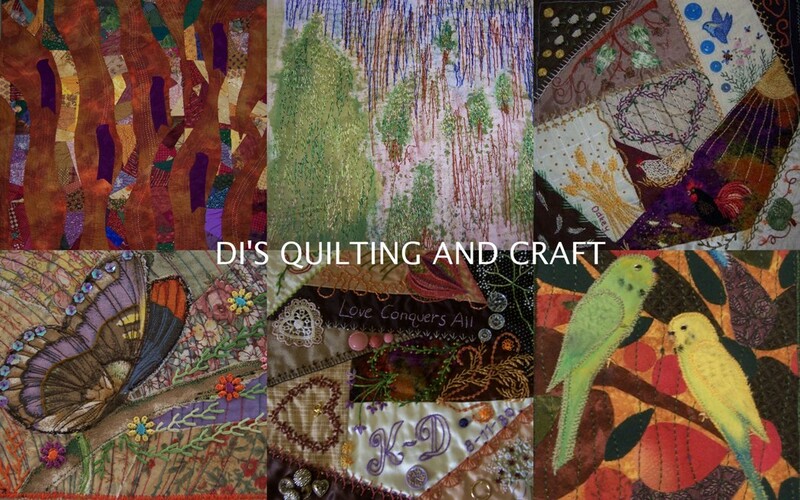 This leaf quilt is going to be my own design and has been in the back of my mind for a couple of years now. In fact, I already have about 300 leaves cut out, tacked, and ready to applique. No two will be the same. On Wednesday I cut about 60 miles of bias (well, maybe not quite that much but it felt like it) for the vine. I am going to put it through a 1/4" bias maker and at the same time attach some paper back adhesive. It will be a hand project that I can take here there and everywhere in the next few months. Can't wait to get started on the stitching now.